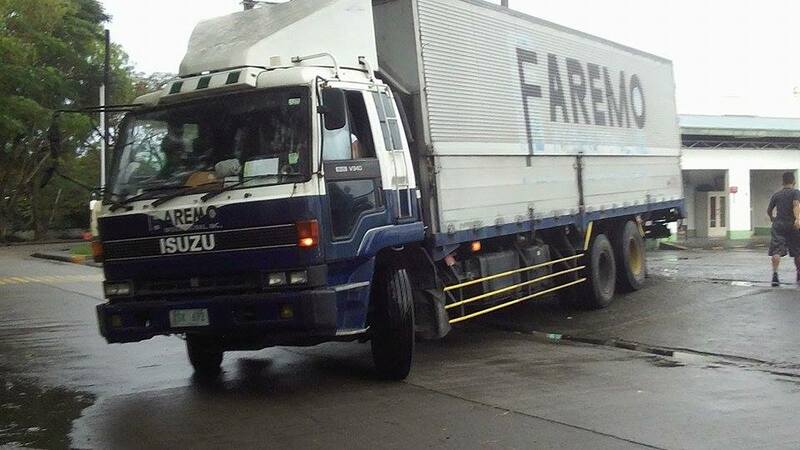 There was an hours-long standoff inside the Cavite economic zone in the town of Rosario yesterday as protesting workers stopped a container truck loaded with machines from leaving a dispute-bound factory. The tense situation ended only when the truck left early last night without its container load. Workers of the garments factory Faremo International Inc. slammed its Korean owners for attempting to spirit away computerized sewing machines. They also condemned the industrial relations (IR) head of the Philippine Economic Zone Authority for conniving with management. “We caught Faremo violating an agreement that it will not take out machines from the factory. Runaway shop is an unfair labor practice and illegal. Faremo closed down its organized factory to bust the union and is relocating to an unorganized plant whether in the Philippines or abroad,” averred Jessel Autida, president of the Faremo workers union. Faremo is the biggest garments factory at the Cavite ecozone that shutdown last October 27 allegedly due to lack of orders, a claim that has been debunked by the admission of one of its clients that purchases have in fact been increased. Autida clarified that Faremo workers are not on strike and want to work but have been locked out. He explained that they are maintaining a 24/7 picket at the factory to guard against machines being taken out of Faremo. Faremo is owned by the Korean multinational Hansoll and supplies to global garments brands Gap, JC Penney and Kohl’s. Faremo workers have been on the picketline for more than a month now. According to Autida, the union at Faremo was formed last year in a bid by workers to improve pay, benefits and working conditions and stop mistreatment like verbal abuse. Autida also denounced PEZA IR official Allan Datahan and the PEZA police for threatening the protesting workers with criminal charges and dispersal using a firetruck for preventing the shipment of machines out of the factory. Meanwhile the militant Partido Manggagawa (PM) for the suspension of Datahan for his role in the tense standoff at the Faremo factory. “Once more Datahan, who is a public official, has been caught conniving with foreign investors who are trying to transgress our labor laws,” insisted Dennis Sequena, PM-Cavite coordinator. Our dream is a world that gives due importance to the role of the working class and respects the dignity of labor. A social order where the working men and women of the world live together in peace, harmony and progress. Our aspirations lie in the emancipation of labor. A government that is truly of the workers, by the workers and for the workers. Our hopes rest in a future where social progress thrives not for the benefit of a few people but for the development and richness of the entire humankind. A society that is free from the chains of wage slavery and where oppression does not exist. Forge the unity of the workers into an independent working class party to organize them as a potent political force in social transformation towards the advancement and protection of labor from the scourge of globalization, establishment of a genuine workers’ government and the emancipation of the working class from capitalist exploitation and wage slavery. The working class is the most important class in society. But, labor will only be a force to reckon with at a time when labor assumes the responsibility of leading the struggle to a decent living - free from exploitation of the propertied elite. The time has come to rally every underprivileged sector of the society, to take the bull by the head and confront the issues of today. The working class must take an active role in every political exercise presented. The backbone of the independent party must be comprised of the working class with the other marginalized sectors in solidarity. This is our own challenge and we must vow not to shirk from it. Our future is in our hands, in our unity, in our struggle, in our party.